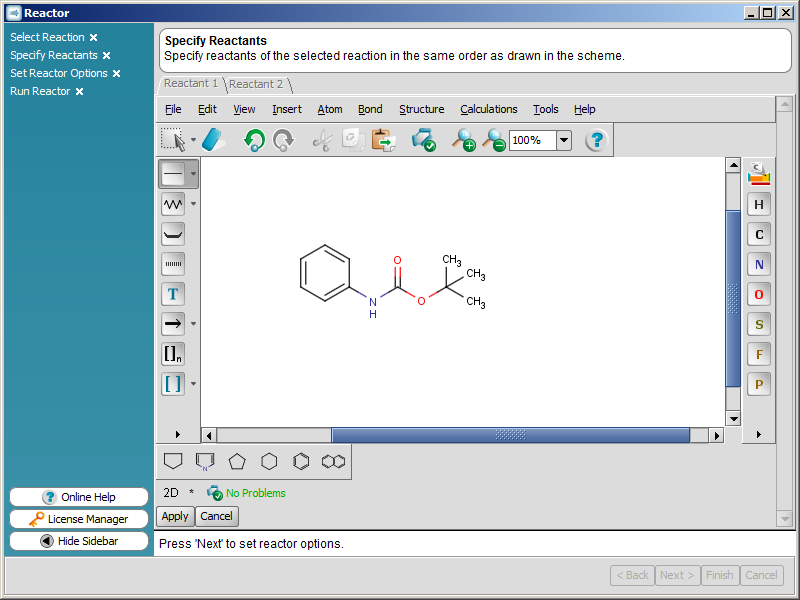 Specify the corresponding reactants. 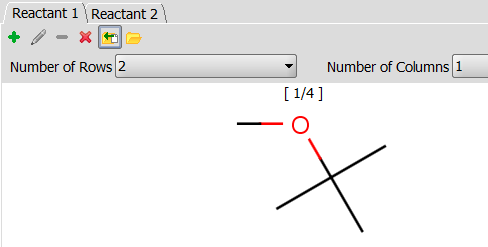 The order of the reactants / reactant files corresponds to the reactant order in the given reaction equation. 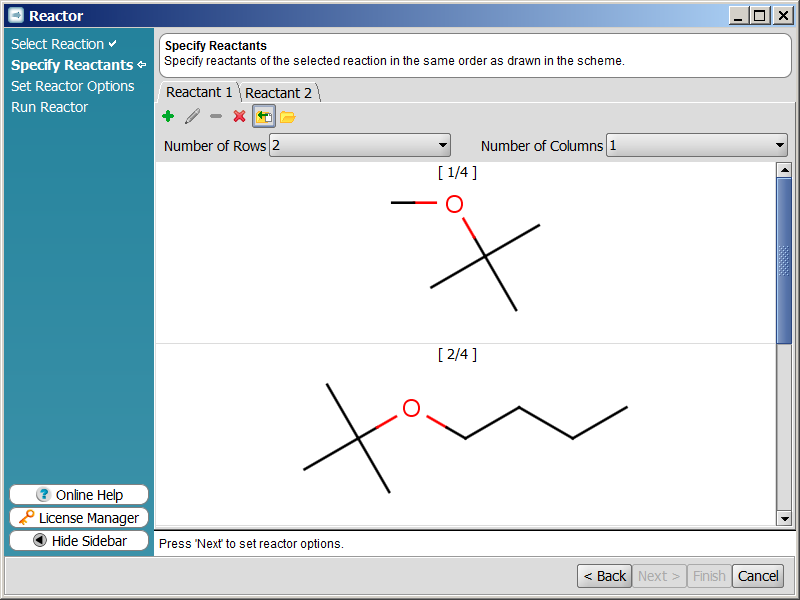 You can load reactants from file , import built-in examples , edit selected reactants in place , or draw your own compounds . 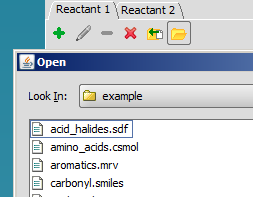 Clicking on button will open a dialog window where you can search for your reactant containing file(s). 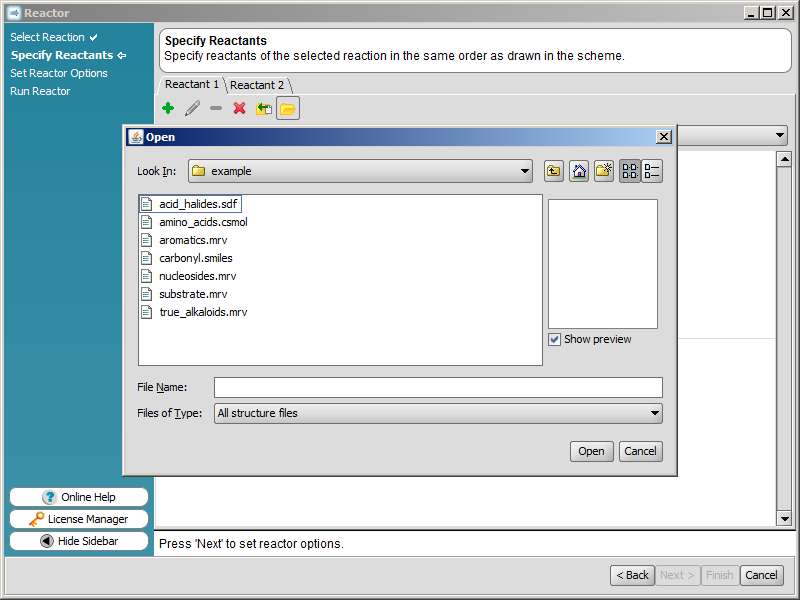 Clicking on button will import molecules that are defined as examples in the selected reaction file. 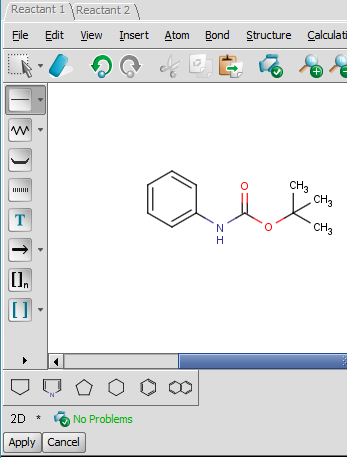 Clicking on button or double clicking on an empty cell will open MarvinSketch in the same window where you can start drawing your reactant. Click on Apply when you finished drawing. Specify all the reactants that the reaction equation requires. Click on Next to continue.